The project includes construction of promenades, a jogging track, playgrounds and food courts. 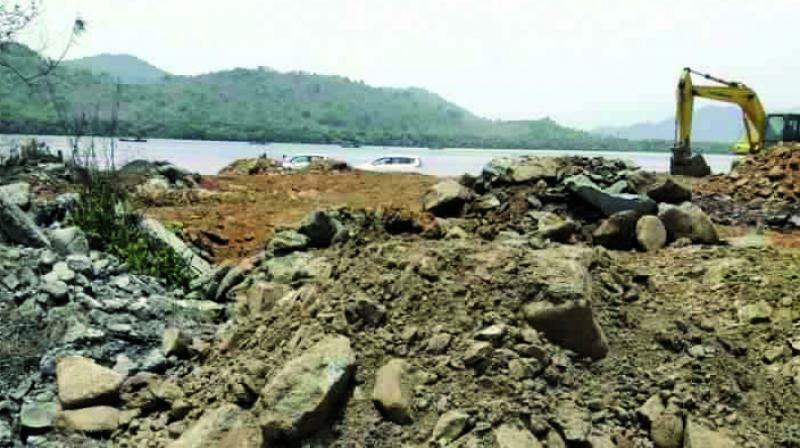 Mumbai: The Mangrove Cell has confirmed the destruction of wetlands at Gaimukh due to land filling for the waterfront project by the Thane Municipal Corporation (TMC). A petition was moved against the reclamation of wetlands for the project earlier in July, where it was mentioned that Coastal Regulation Zone (CRZ) 1 land is being filled up to 15 meters and the work is being carried out inside the High Tide Line. The project includes construction of promenades, a jogging track, playgrounds and food courts. Earlier in June, this paper had reported that Thane city is going to lose two major wetlands at Gaimukh, Ghodbunder road and Mumbra to TMC’s waterfront development project. The project will also entail reclamation of wetland patches at three other spots at Thane city, including Kopri and Salket-Balkum. In the last three months, three site inspections by the Konkan wetland grievances redressal committee and the state mangrove cell have been carried out. While the earlier panchnama by the Mangrove Cell shows that the amount of debris in the wetland and mangrove area has increased, the latest panchnama shows that they have have depleted at the site. Environmentalists have also highlighted the issue of construction work in the CRZ-1 area in the seven wetlands of Thane, which could lead to flood-like situations during monsoon. “During heavy rains, the water coming from the hills may flood the opposite roads,” said Rohit Joshi, a Thane-based activist.